After reading about the wonders of kale chips on a few different blogs, including over at Kath Eats Real Food, I was pretty keen to try them – something that tasted like junk food but was in fact made out of veggies? I’m down. The Trader Joe’s near my house that I’m obsessed with (for their multitude of delicious things to buy) never had kale in, so my kale chips mission was quashed until…. this week I saw this! And of course promptly bought it. 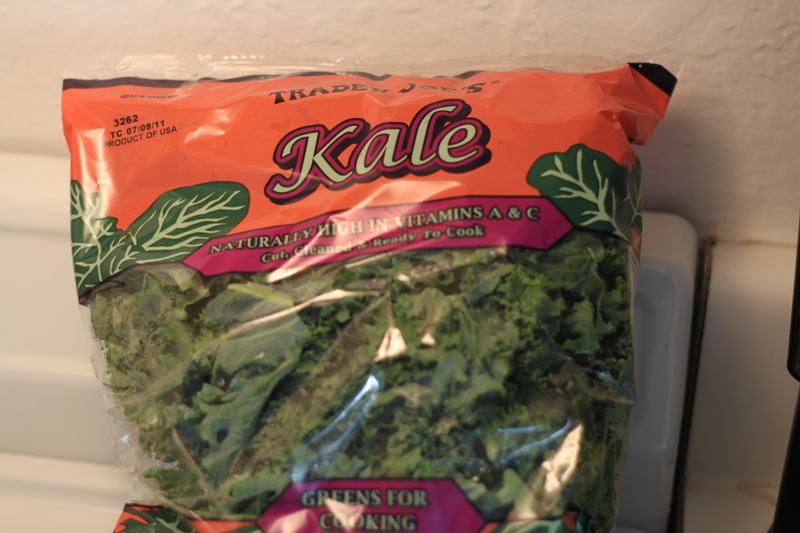 To make the kale chips you heat your oven to 375 F, then pull the middle stalk out of the kale leaves. Kath Eats Real Food made hers with Parmesan cheese and I’ve heard about people making them with nutritional yeast, but I rolled with what I had to hand and have been recreating my favourite flavour of chips (or crisps if you’re British like me). 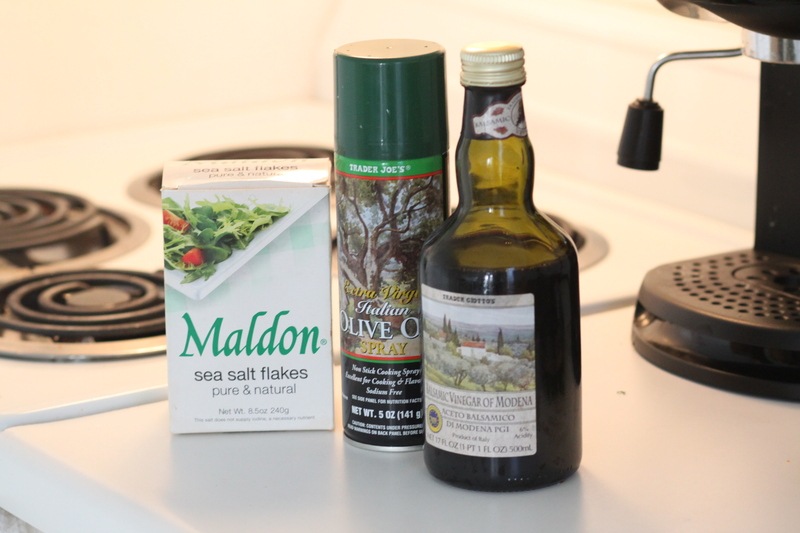 Balsamic vinegar, Maldon sea salt (which is amazing) and then I gave everything a quick coating of olive oil spray. I gave it a bit of a mix around with my hands too. After that, put the kale into the oven (I bake mine on parchment paper so I don’t have anything to wash up), and check on it after about 10 minutes. Give it a bit of a shake. 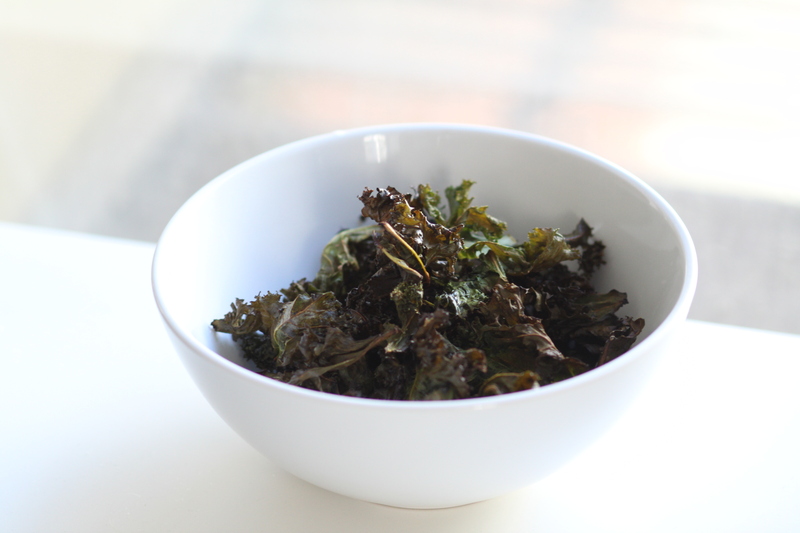 My kale chips were done after about 15 minutes – I tell when they’re done by moving them around with my hand, if they sound all crispy then they’re ready!